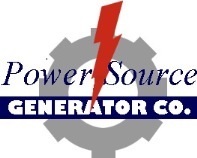 Power Source Generator Company opened its doors in Depauville, NY, June 23, 1999. It was the birthday of Thomas Murray, son of Kim Murray, our marketing manager. Kim's the cog in the wheel that ensures we keep our stock adjusted so we don't let customers down. The technician guru of the cog wheel, John Hazlewood, completed his Navy career just prior to the grand opening. Retiring from the Navy marked a new beginning. Northern New York had been devastated by the 1998 ice storm that left thousands of households, including his mother's house, out of power for weeks. The need for a dedicated generator emporium was obvious. Fortunately John was able to make it home for part of that power outage. Long enough at least to restore heat and lights to some much appreciative family members and a few friends. After hanging around the Navy for 22 years of active duty working primarily in engineering and specializing in generator installation and maintenance for the Navy, who was better qualified to provide such a service? From its inception, Power Source continues to grow. Taking good care of our clientele by selling them quality products and caring for them after the sale has provided us valuable word-of-mouth advertising. We've built up a tremendous reputation. We've got a team with enormous desire to please. And we will grow with dedicated personnel as fast as is necessary to meet the growing demand for our services. We are now recognized as not only sales agents for top quality products, but installers who are totally familiar with our products and able to offer fast, friendly technical advice to our customers.